We all know the traffic system within Pakistan, in a lot of places around the country there are not enough amount of functional traffic signals or traffic wardens to ensure a safe and unhindered flow of traffic within the country, people are constantly breaking traffic rules and regulations without the slightest bit of hindrance, and there are not enough proper measures in place to catch and fine these vandals. 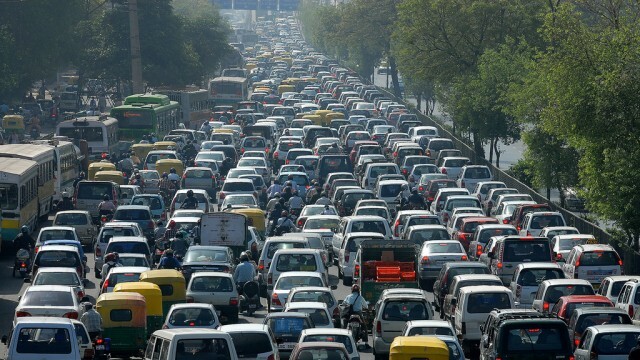 It seems like those sort of practices may soon be coming to an end as Lahore is set to introduce a revised traffic system that will be put into effect by the month’s end. Security cameras have been introduced all over the city whereby which a person who commits a traffic offense will have his/her picture taken by the cameras and inserted into a detailed traffic fine that will be delivered to the offender in it, it will also outline the nature of the traffic office committed. These cameras are still not that abundant throughout the city so in a bid to combat that drawback 320 wireless sets have been imported and these will be distributed among the wardens in places where these cameras at not placed at regular enough intervals from each other. These wireless sets will not only help in communicating effectively with other traffic personal but will be fully capable of taking a picture of any traffic offender. Coupled with the wireless printers that will be also handed over to these wardens. This will provide the oppptrtunity to tge traffic wardens to fine the offenders on the spot. These fines will be payable through a bank or even by using mobile payment methods like easy paisa, depending on the drivers’ preference. These wireless sets cost in excess of 1 lakh rupees and are said to be extremely resilient against any sort of abuse that they may face, including being water proof. 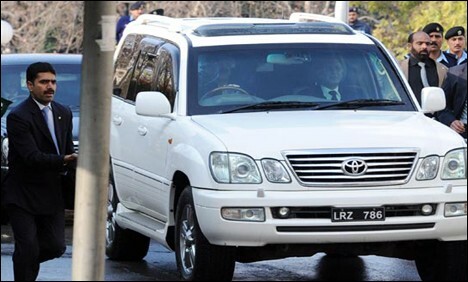 Politics On Wheels - 12 Pakistani Politicians And Their Vehicles!